Jonas Nilsson: "During 2018, Europe will become the biggest regional division." International Automotive Components Group ranks 53rd on the Automotive News Europe list of top 100 global suppliers, with revenue of $4.4 billion in 2017. But falling numbers in IAC's U.S. heartland have boosted the prominence of the European division, led by Jonas Nilsson since the end of 2016. This year, Nilsson says, the success of IAC's strategy of targeting premium customers will help Europe become IAC's biggest division globally. 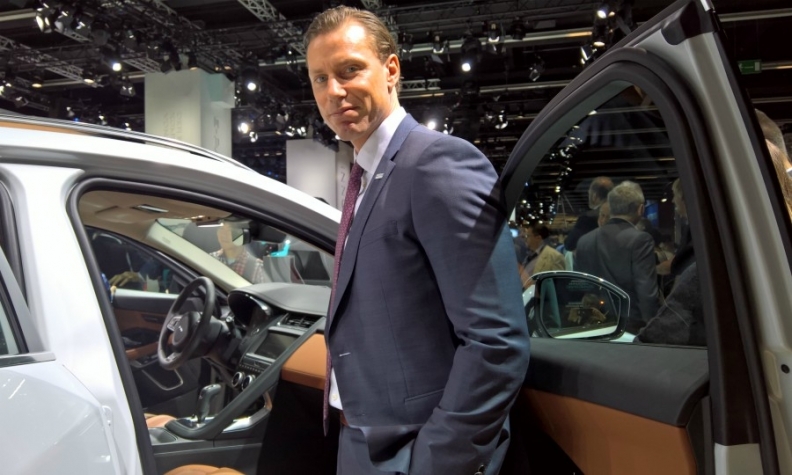 Nilsson spoke with Automotive News Europe Correspondent Nick Gibbs about how he plans to further grow IAC's European business. How big is the European division within IAC? It used to be 40 percent to 42 percent historically, and we are now just under 50 percent with revenue at $2 billion in 2017. We are growing, so during 2018, Europe will become the biggest regional division. What is helping you grow? We are resetting our strategy to be the premium supplier of choice, so that is where we are growing. Already, 80 percent of our business is with premium automakers. We are a bit underweight with German premium automakers, so that is where we will be focusing. What is your market share in Europe? Looking at parts produced, our share is about 10 percent to 15 percent. But if you look at sales, we are about 20 percent to 25 percent. We definitely need to grow that -- 40 percent is where we need to be. Who are your big competitors? Yanfeng is a big one after the merger with Johnson Controls on the interiors side. Faurecia is still there. Grupo Antolin is primarily in headliners, but they are also diversifying. M&A [mergers and acquisitions] could also play a role because local players account for almost 30 percent of the market in Europe, which is not the case in North America anymore -- they have all been acquired. There is still some room for consolidation in Europe. Are you growing with the premium brands or taking business from some of your competitors? It's a mix. We are also getting airlift business where an automaker asks us to take over from a troubled supplier in production or development. Three premium German automakers have asked us to do that. What are you offering premium automakers that others aren't? A couple of things. First, we said we want to be a premium supplier. No one else really has this explicit statement. Everybody wants to be diversified. Second thing, we worked on our quality launch performance. We rolled out a quality program two years ago -- tools, standards, but also saying to our people, "Don't shift the fault to the next station; take care." You don't get premium price for quality; it's expected. But if you don’t have it, you get into trouble. We hear that a lot of competitors are struggling with launches. A lot of the mass-market manufacturers boast premium levels of interior quality. Is there still a big difference? There are some similarities but also differences. They are trying to climb the ladder in terms of getting more soft surfaces, but that is exactly the same for the premiums. They are trying to drive sophistication, personalization, tailored interiors. But they are further ahead, with more premium surface materials. With autonomous drive and electrification, the interior is going to be even more of a differentiator. Where are the premium brands pushing for you to innovate for autonomous vehicles? We are looking at the functional integration of everything from cooling, heating, sound, smells, noise, visuals. Flat screens that you can wrap around things offer a fantastic opportunity for doing functional integrations. The durability of surface materials in panels is a big one for autonomous car-share. What technologies are automakers asking for in the near term? About 40 percent of our business for the premium automakers will be tailored interiors by 2020-21, up from 25 percent to 30 percent now. So, all surfaces, headliners, door panels, instrument panels will be wrapped in leather or nonleather premium textiles. Nonleather is clearly a trend, which is why we opened our new Opole plant in Poland, first supplying Volvo. But we have more premium brands making orders -- one German, one Italian and one British. Exactly. Those are bigger opportunities to add value. If you take a simple injection-molded part, you inject it into a mold machine and then you ship it. Now you inject a substrate, then you glue on a leather surface, maybe with integrated functions such as sound or lighting. Everything you add is an opportunity to add value. No one is doing everything from the substrates to the welding and gluing and final wrapping and assembly in one location. Opole will be the first fully integrated wrapping facility. As well as Opole in Poland, and you've opened a third plant in Prestice, Czech Republic. Is it difficult to find staff in eastern Europe now? The important thing is to stick out, to be known to take care of your employees. In Prestice we will be employing 2,200 in a village of 7,000. Of course, everyone can play the money game and increase salaries but that is going to be our own death spiral. So, we're trying to be competitive but also take care of the people, to be the premium supplier of choice also for employees.